Magnus Global School is an English medium, co-educational school following the Central Board of Secondary Education (CBSE) curriculum. Founded in 2017, Magnus is a school of the modern era with a global vision. A beautifully designed child centric infrastructure, nestled in a sprawling 10 acres campus, provides our young learners innumerable opportunities to explore, experience and enjoy freedom to learn and share. At Magnus, learning is all about doing, challenging the conventions, being enthusiastic, innovative and creative. Embedded in the philosophy of change and innovation, Magnus Global School fosters culture which is dynamic, supportive and ever evolving, thus ensuring that learner remains relevant to the present and is ready to take on the future. 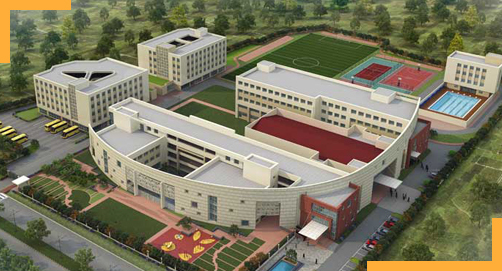 Magnus Global School, with its world class infrastructure, is the best English medium school that Burdwan has. The school is located on National Highway 2, between Gangpur and Saktigarh. Magnus offers a campus close to the town yet away from the din and pollution. A safe, serene and nature touched surrounding for a child to concentrate, learn and grow in. The School's strategically planned and contemporarily designed campus is the perfect fit for today's generation and tomorrow's leaders.